The CDP Market Garden Activity Team has completed yet another fantastic project. The team recently completed some fantastic landscaping at the Palm Island Motel and are showing no signs of slowing down. 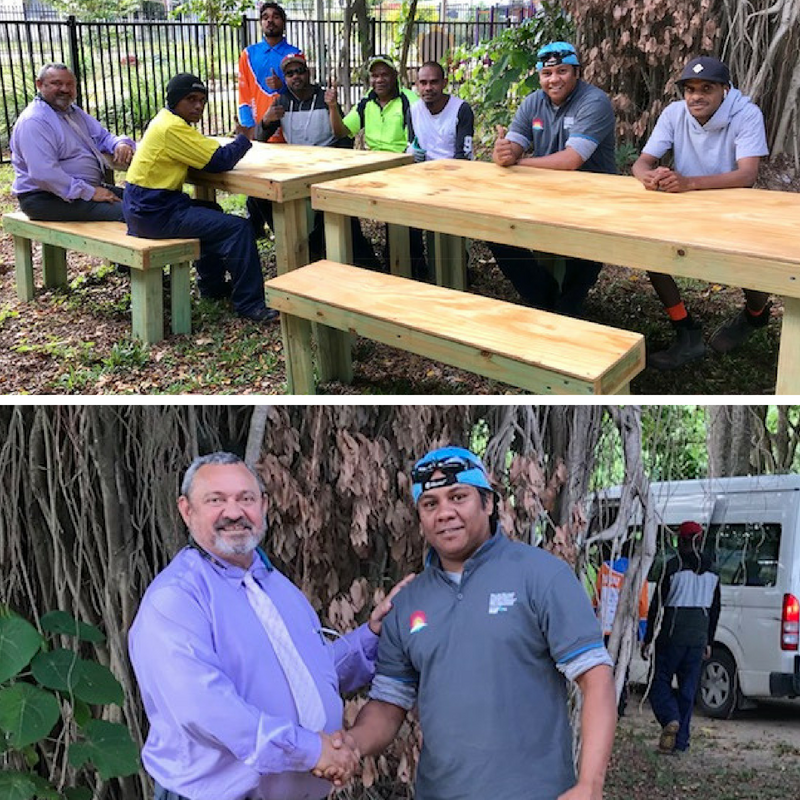 Under the keen and watchful eye of Activity Supervisor Robert Vui, the team constructed 12 sturdy picnic tables and benches for the Palm Island Bwgcolman Community School. The tables and chairs will be used by the school for community and school engagements and provide a beautiful, shady setting underneath the trees. Well done to the team for their hard work and craftsman ship. The school and it’s friends will enjoy these tables and benches for years to come!